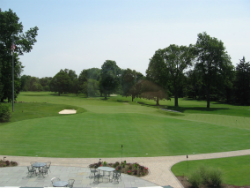 Faery's Golf can take care of your golf course project from start to finish, from construction and remodeling to maintenance and drainage work. Our honest team of experienced builders can keep your customers happy each and every time they visit your golf course. Although we’re based in Ransomville, NY, we serve customers all over Buffalo, NY; Rochester, NY; Syracuse, NY; Binghamton, NY; Cleveland, NY; and all of Erie County. When you work with Faery's Golf, you can trust that we’ll provide beautiful craftsmanship at each and every step of the project. If you’re interested in upgrading or remodeling your golf course, please contact us to begin speaking about your ideas. We would love to come up with a design for your approval.